As Cher says "If I could turn back time"
Well this weekend we will do that! 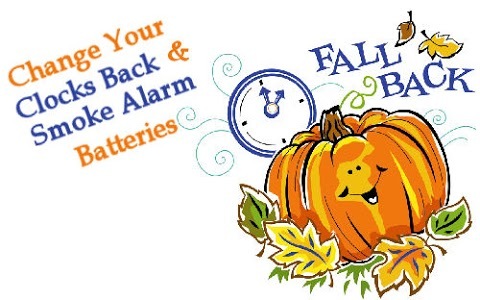 We get an extra hour of sleep this weekend so remember to turn your clocks back 1 hour on Saturday Nov.1 at 2:00 a.m.
Also, good to check your smoke alarm batteries. Let's be safe!